Looking for the perfect Valentines Day event to attend in 2012? The Sunflower House Gala 2012 in Kansas City provides an opportunity to attend a wonderful evening of dining and dancing, while at the same time donating to a worthy Kansas City Charity event. If the 2012 Gala is anything like last year's Sunflower House Valentine Gala, you and your date will be in for a real treat! At last year's gala, they had one of the hottest dance bands in Kansas City, The KC All Stars, who kept the dance floor packed all night long. This year's gala will feature entertainment provided by Adam Blue Productions, and they are going to have Dueling Pianos! The dueling pianos will definitely make the Sunflower House Gala 2012 an amazing and fresh event to attend on Valentine's Day in Kansas City. Grab your Valentine and join Gala Co-Chairs-Chief Rick and Allison Armstrong and Chief Ellen Hanson–as we celebrate 30 years of protecting children from abuse. Larry Moore will host another fabulous evening with a gourmet dinner with fine wine, live and silent auctions, and live entertainment and dancing from Roll Over Beethoven-Kansas City’s leading dueling piano pair. For their years of dedicated service to Sunflower House and the Kansas City community, Ernie and Susan Straub will be recognized as the 2012 Honorary Chairs. With the support of people like you, the Valentine Gala has raised almost THREE MILLION dollars to provide life-saving services to physically and sexually abused children in Wyandotte and Johnson Counties. With proceeds from the Gala, Sunflower House has seen over 5,000 alleged victims of child abuse and educated over a million children, parents and professionals on how to RECOGNIZE, RESIST and REPORT suspected child abuse. Tickets are $150 and include dinner, beer and wine. The Sunflower House Valentine Gala 2011 was a really fun night! The KC All Stars were fantastic. We are looking forward to the dueling pianos this year! Everyone buy tickets, it's a great cause and an exciting event to attend, plus the girls get to dress up! Sunflower House does wonderful events and their Valentine Gale is simply exquisite, the food, the dancing, and yes, they always have the best entertainment available. We have actually been to another event with the dueling pianos that they have coming in this year and they are stupendous! 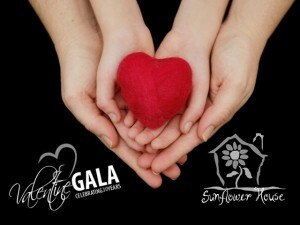 We are considering going to the Sunflower House Valentine's Gala this year. We saw the dueling pianos at another event last fall and they were incredible! The question is, can I get my lazy husband out of the house again! Yes, the Sunflower House Gala is an incredible event. The dueling pianos are going to really be a big hit this year and the food is always great as well. If you are looking for something to do for Valentine's Day in Kansas City that your date will always remember, the Sunflower House Gala is a great option. This is a truly great event. The Sunflower House always puts on a delightful evening for couples of all ages. The KC All Stars were great last year, truly one of Kansas City's best charity fundraisers and Valentine's Day date night ideas!